Christmas dinners present a prime time to try new wines with favorite recipes of old. Will it be ham, turkey, goose, or prime rib? 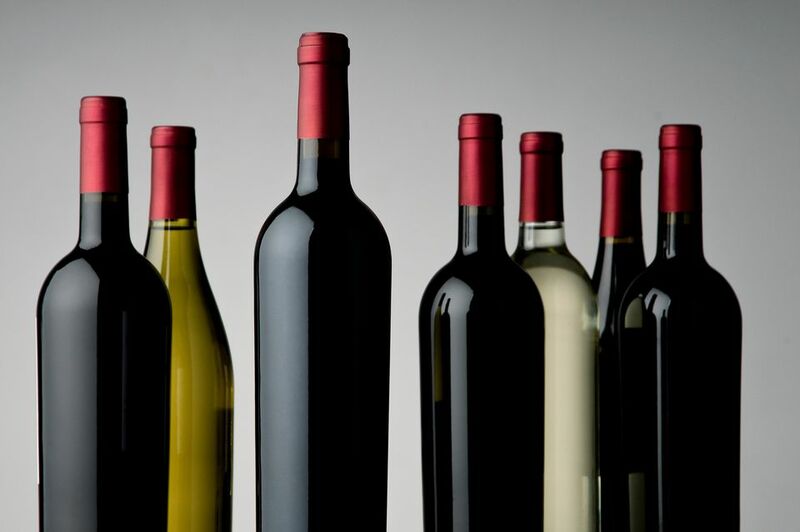 If you are looking for new wine options to complement your holiday meal, then look no further, check out our unique selection of versatile whites and diverse reds that are sure to enhance your Christmas gathering, varietals picked for both their presence and adaptability. Baked, smoked, or honeyed hams beg for wines with a dash of sweet. A German Riesling with a touch of residual sugar, made lighter in style and a bit lower in alcohol, will hop on the ham pairing wagon with plenty of food-friendly acidities and crowd-pleasing palate appeal. Alsatian Rieslings tend to bring more body, significantly less sugar, and a richer palate profile than their German wine cousins and are capable of handling a wide range of pork-themed options with a wine focus on weight and pairing presence. Red wines that can accommodate ham happenings tend to be lighter in body and overall style. Beaujolais, Pinot Noir (especially from Burgundy or California's Russian River Valley), and Spain's Tempranillo grape often exhibit subtle tannins with an easier going pairing profile. Turkey on its own presents a fairly straightforward pairing partner, but who really eats turkey solo? Herb-filled stuffing, roasted veggies, rich sauces, and an assortment of savory sides manage to make their way alongside the bird. It's these sides and sauces that must be taken into account when working out the best wine pairings. Sauvignon Blanc is hands-down one of the top white wine picks for turkey and savory sides, as it tends to bring its own herbal tones to the table. When it comes to pairing wines with duck, considerations have to be made for the unique, fatty profile along with the innate gaminess of the meat. The wines of France have a long and storied pairing partnership with a variety of duck preparations. As local foods paired with local wines make a trendy comeback, there's an underlying synergy between "historical" regional pairings and the red wines of Burgundy, Bordeaux, as well as the reds of the Rhone Valley will handle the elements of roasted, smoked, or ​braised duck. If the duck is served with a fruit-based sauce then the wine pairing gears will shift towards the white wine trails. Gewurztraminer, Riesling, and Sauternes will make their mark on the fruit-themed duck pairing profiles. Prime rib makes a serious play for a variety of red wines. A big, bold Cabernet Sauvignon from California, a playful Lodi Zinfandel, a rustic Tempranillo from Spain, a refined red from Bordeaux, a Barbaresco or Barolo from Italy—all of these varietals can mix and mingle with a slice of prime rib and bring out subtle nuances in the pairing depending on the regional roots. White wines will have a tough time keeping up, but if you are hard pressed and must venture to the white grapes, try a full-throttle White Burgundy (Chardonnay) to keep pace with the rich textures and greater ratios of protein and fat. Whites for prime rib: Typically white wines have a difficult time holding up to the bold flavors found in red meats, so while it is possible to enjoy white wines with red meats, it may be challenging to find a perfect match. Christmas culinary creations from around the world add an extra layer of festive foodie fun. Whether it's exotic Asian spices, calling for the likes of Riesling, Gewurztraminer, and even an aromatic Viognier or heavy European desserts with warm spice nuances, preferring a pairing with the weight and flavor of a fortified wine like port or Madeira—there are dozens of unique pairing potentials. Keep in mind that flavor is not the only consideration to be made, but textures, spice intensity, serving sauces, weightiness and rich ingredient elements will all serve to sway a food and wine pairing potential. And last, but not least, there are choices to be made with which wines to serve with chocolate and a variety of dessert wines that are more than capable of serving as dessert themselves!